Looking for some great deals on historical romances? Have a look at Mia Marlowe’s wonderful books. Her lovely Scottish historical novella, Plaid to the Bone, is currently on for FREE, and her full-length, RITA nominated historical, Plaid Tidings, is available for only $2.99. Check out her website for details and buy links! Guest Author: Mia Marlowe & Giveaway!! 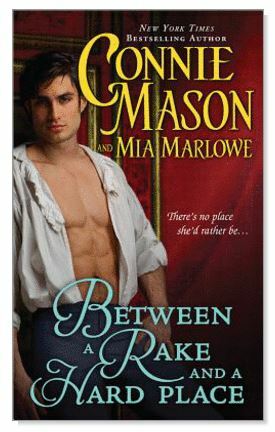 I’m so happy to have my good friend and fellow historical romance author Mia Marlowe on the blog today. Mia writes wonderfully romantic, award-winning books full of color, wit, and emotion. She has a brand new one just out, a collaboration with the great Connie Mason called Between a Rake and a Hard Place. Great title, eh? Sir Jonah Sharp thinks Lady Serena Osbourne will be just like any other debutante, and seducing her will be one of the easiest services he’s ever done for the Crown. Then he catches her wearing trousers and a mustache in his gentleman’s club and she demands he teach her to smoke a cigar. But what will truly be Jonah’s undoing is finding out he’s an item on her list too, which makes him determined to bring her all the forbidden pleasures she can handle. Lady Serena has done it! She’s been admitted to Boodles, and exclusive male club, but her clever disguise hasn’t fooled Sir Jonah for a second! “No.” The Osbournes were notorious for small but hearty families. Few children were born to them, but those who were tended to live to maturity and a ripe old age. At eighty-two, Serena’s Grand-mère Osbourne could still cut a respectable reel, but even she had been an only child. “I have no brother,” Serena said. Serena twisted to peek around the tall wing of her chair. Drat! It was her cousin Rowland. He wasn’t supposed to be in Town until the Season started. She shrank back into the chair, wishing she could seep into the tufted cushions. “Spare me your denials. You haven’t time. If you wish to quit this place without being found out, follow me.” He rose and began walking toward the door to the kitchen where servants were coming and going, bearing trays heaped with steaming caffeinated bliss and small glass bowls of the club’s famous Orange Fool. For my readers today, Mia and her publisher are graciously giving away a copy of Between a Rake and a Hard Place (US & Canada only). All you have to do to enter the drawing is answer this question: Lady Serena went to great lengths to impersonate her cousin Rowland. Have you ever worn a costume? Did it let you have an adventure you didn’t expect? I’m so happy to have Mia Marlowe featured again on the blog. Not only is she a fellow Kensington author, she’s a fantastic historical romance writer. An award-winning author, Mia writes for several publishers in a variety of historical romance sub-genres, including Regencies, Highland historicals, and in Viking historicals. Cool! Not any dashing English lord’s idea of a good time. But now that Lord Alexander Mallory has won a Scottish estate in a hand of cards, he is the unlikely laird of the wild, snowy Bonniebroch. Worse yet, the ancient pile of stones comes with a betrothal. To a fiery red-headed virgin. And a curse. I’ve got this one lined up on my Kindle, and I know it’s going to be great! And here’s something fun–for my readers today, Mia is giving away a digital copy of Plaid to the Bone, the prequel novella to Plaid Tidings. Just tell us what your favorite holiday recipe is–drink or food–for a chance to win a copy of Plaid to the Bone. 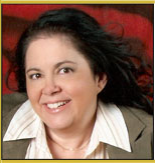 I’m so pleased to be hosting fellow historical romance author Mia Marlowe on the blog today. Mia is a fantastic writer who can fashion a captivating tale and place it in just about any historical period. It’s no mystery to me why she’s a bestselling, award-winning author! She’s with us today to share some very exciting news. Plaid to the Bone is your 20th book, which is an amazing accomplishment. How do you feel about that? Has your writing career given you any surprises along the way? I’m thrilled! And no one is more surprised than me. I’ve been published since 2006 and of course, my career has had its ups and downs. Please don’t ask me about the fiasco with my first agent (whom I had to threaten with legal action to get the advance on my debut!) or the sad sinking of Dorchester. Fortunately my editors (Alicia Condon at Kensington & Leah Hultenschmidt at Sourcebooks) have championed me and kept me in print. I have a wonderful agent now (Natasha Kern) and readers have kept reading. I’m a very lucky girl and I know it. The heroine in Plaid to the Bone is pledged to murder her husband, which is an awesome basis for conflict! What can you tell us about the book, and how did you come up with such a splendid idea? I had already written Plaid Tidings (October 2103, Kensington) in which my hero becomes laird of Bonniebroch Castle. Only trouble is, there’s a pretty hefty curse on the place which he must lift before Twelfth Night. My editor asked if I’d write a novella that explains how the castle came to be cursed in the first place, so Plaid to the Bone took shape in my head. I reasoned that the curse was the result of a betrayal. At her father’s behest, Cait Grant has sworn a blood oath to kill Adam Cameron after they’ve been wed a month. What more heinous betrayal could there be than a bride who plans to murder her new husband? You have another book coming out soon – what can you tell us about it? In Plaid Tidings, 300 years have passed since the events in Plaid to the Bone. It’s 1821 and my hero Alexander is part of the advance team preparing the way for Prinny’s visit to Scotland. He’s on the look out for any remaining Radicals who might threaten the king. To hide his true purpose for being in Scotland, he wins Bonniebroch and the accompanying barony in a game of chance. What Alex doesn’t know is that the title comes with a betrothal to a Scottish lass whose brother is a notorious Radical. And to add to his troubles, the castle to which he brings his unwanted bride is haunted! The final book in my Songs of the North trilogy will be out in November and the last of the Royal Rakes releases in January. I just signed contract with both publishers for more Scottish and Regency romances. Please check my Coming Next page for the latest news! You’re running an amazing contest right now – what’s that about? I’m hosting a 20Days/20Books Celebration on my blog to mark my 20th published work milestone. Each day I share a bit about Plaid to the Bone, host amazing guests (like you, m’dear!) and reminisce about one of my backlist titles. There are multiple daily giveaways and the Grand Prize is a Kindle Paperwhite! I hope your readers will join me at http://www.miamarlowe.com. The celebration runs till September 15th and the winners will be announced the next day. That all sounds awesome, Mia! And for my readers today, Mia is giving away a digital copy of her 3-book anthology, The How To Series. Just tell us why you love Scotland, or why you might like to visit there someday, for a chance to win. Mia Marlowe’s Plaid to the Bone Celebration & Giveaway!! Acclaimed historical romance author and all-around fab person Mia Marlowe is celebrating the publication of her 20th book–Plaid to the Bone–with a 20 day celebration for her readers. She’s giving away books every day with a grand prize of a Kindle Paperwhite at the end of the celebration. Zounds! You don’t want to miss out on any of that action. Today Mia is giving away a copy of my third book, My Favorite Countess, and a copy of Improper Gentlemen, a lovely historical anthology with works by Mia, Maggie Robinson, and Diane Whiteside. Be sure to hop on over to Mia’s blog right now for a chance to win!